It's my favorite time of the year. I love talking all things holiday with my readers and I also love sharing tips to assist you with getting through the holidays stress-free. Whether you're hosting, or a guest or plan on having a pretty low key holiday season. 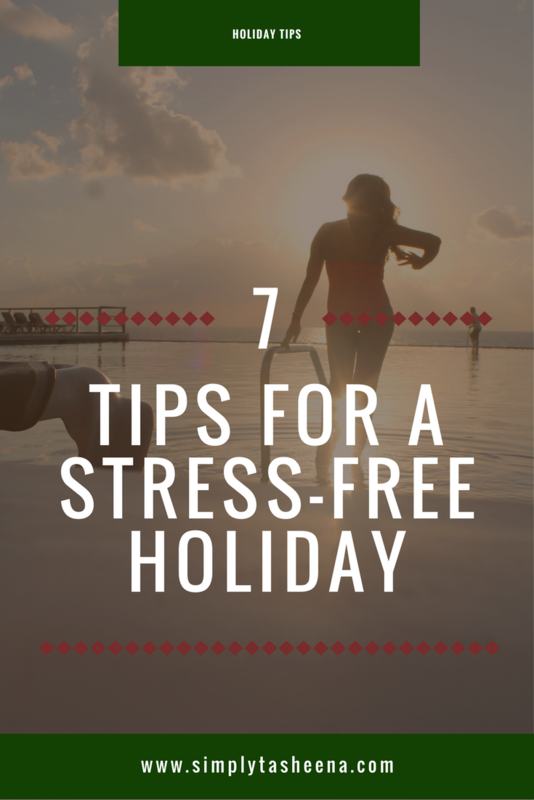 Today I'm sharing 7 Tips for a Stress-Free Holiday. I can not tell you the importance of planning ahead of time whether you're hosting or a guest at a holiday gathering. If the person is hosting an event doesn't ask you to bring anything, offer. Why because if you don't you're going to be the first person that the contact when they need something last minute. From creating your shopping list in advance, create your menu plan, know what gifts your purchasing and for whom. Plan, plan, plan, you can't over plan. I am huge on creating a budget for the holiday season. I wrote several posts on it here. It's so easy to get carried away with spending. If you follow me on social media. I walked into Michael's Craft the other day and wanted the entire pastel colored holiday decor. Know what's your budget for food, holiday decor, gifts, hostess gifts etc. I have to be honest with you. I'm still learning not to sweat the small stuff. I remember my first year making red velvet cake. I forgot to purchase buttermilk. I was mid-way of making the cake and noticed that I was out of milk... I noticed that my local pharmacy was open and I decided to make a quick run to purchase some milk. Long story short. It wasn't the end of the world. I purchased the milk and googled how to make homemade buttermilk. I love Martha Stewart. However, I know that I'm not her. Outsource whatever you can. I know those DIY projects sound like an amazing idea. However, be realistic with yourself. Instead of procrastinating and waiting until the last minute have someone make or create it for you. I have no shame in buying pre-made desserts, and sides. My family loves candy yams and they are my least favorite to make and take a ton of time. Guess what I do? I purchase the pre-made version. Learn to not Sweat the small stuff. 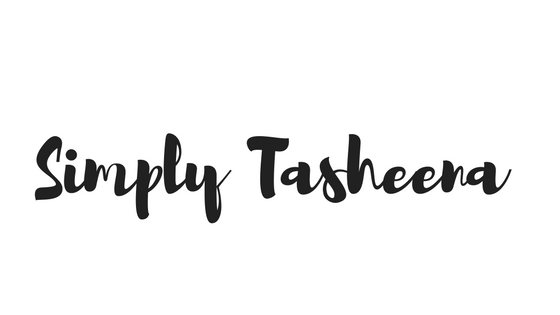 Typically when I'm hosting a holiday dinner I create a list of To-do's, a shopping list as well as a list of everything that I need to work on that week. I prep as much as I can days before like place cards, menus etc. I also make sure that I have everything that I need. I cook all of my desserts a day or two in advance and I try my best to make everything else the night before. So the table is set, the hot chocolate bar for the kiddos has everything that it needs and is set up and I'm not running around and can actually enjoy the holiday. This is something that I struggle a lot with. I really hate bothering people so I tend to take everything on. When we typically have Christmas or New Years dinner. I make everything. I started asking people to bring something. Food, drinks, dessert, cutlery. Anything helps! Even if you're asking friends/family to assist you to be on the lookout for a special gift that you have to purchase. It doesn't hurt to ask for help. We get so wrapped up in the holidays and making sure that everything and everyone is okay. Don't forget to actually enjoy the upcoming holidays. Plan some "me time" and self-care dates for yourself. Remember that you're no good to anyone else if you're a mess and barely functioning. Do you have any stress-free holiday tips? Thanks for the tips and reminders to not sweat the small stuff because it is all small stuff isn’t it? To answer your question I would add long deep breaths and count to 10 to your list. Thanks again - blessings! Since we are spending our Christmas Holidays in Florida this year I really find these tips very useful. Thanks! Great tips and I need to focus on asking some help for the christmas party we are planning at home for kids and their parents. We shall not be able to manage all self, and were thinking whom to ask for small help to us! I love the expression " don't sweat the small stuff!" Haha thats the biggest secret for a successful ANYTHING! These are great tips as we get into what can be a very stressful time for some. The best part for me is to remember to just enjoy! Thank you for these tips! Such a great reminder as we get into this time of year! Yes to all of these! The goal is to not be stressed this season and to remember what's most important...the reason for the season! I am with you on the asking for help part. I have the roughest time trying to do that. In fact, even when I have been in charge of people I want to get so hands on. Not in a dictatorial way but in a way where I want to be a part of everything because I want to see it all through. Thanks for your tips! Asking help doesnt makes us vulnerable. It is acknowledging our weakness and finding solution for that matter. That makes life also stress-free.